In the opening shots of Il Posto, 19-year-old Domenico Cantori (Sandro Panseri) watches from his bed in the kitchen as his father, a manual worker, shaves, dresses, and, aided by Domenico’s mother, generally prepares for another day. A dog barks in the distance, the straitened domestic scene fugged as a 19th-century painting. 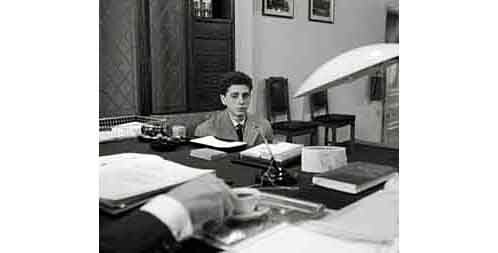 Made in 1961, Ermanno Olmi’s second feature sketches a few weeks in the life of Domenico, as he applies to clerk for a large Milanese firm (il posto means the job, the position — it can even mean seat or spot; the film was originally released in the States with the confusing title The Sound of Trumpets). The opportunity, as his parents repeatedly emphasize, of a job for life. A virtual initiation rite in postwar Italy, this is Domenico’s chance to yoke himself to secure, predictable manhood. With little dialogue or music, Olmi and cinematographer Lamberto Ciami use the built environment — and ambient noises — to show the enormous distance covered by Domenico, a personal transition that parallels Italy’s shift from its agricultural roots and domesticity into a bureaucratized and depersonalized nation. In a statement accompanying the film’s 1964 US release, Olmi said his purpose was “to portray the courage it takes to live through the colorless, gray days which are, in anyone’s life, the majority… I should like to put across that everything — epic adventure, humor and feeling — is contained in the normal human condition.” Olmi posits an alternative compartmentalized universe, very like the writings of Dino Buzzati (in particular “Seven Stories”); his subtle distortions of reality reduce all the humans to minions in thrall to the absurd requirements and nonsensical assumptions of the corporation. Domenico’s family live in converted stables on Milan’s outskirts, the erstwhile stalls a shelter for scooters and motorbikes, their fellow tenants small-town friendly. Olmi shows Domenico framed by right angles and bisected by elements of the less accommodating suburban trains. Unlike Domenico’s neighbors, the proximity of the commuters only seems to make them more separate. Once in Milan, Domenico pauses to look at the towering buildings, the roar of the city the only soundtrack, a marked contrast to the low-storeyed buildings in which he lives, where church bells still dominate the soundscape. Panseri’s face — he could be Franz Kafka’s cousin — takes it all in attentively but neutrally: he becomes a kind of human camera for this strange world. Domenico lunches at the communal table of the local trattoria, the place crowded and full of life. He notices Antonietta (Loredana Detto) and makes sure to pay his bill when she does. They take a consumer tour of Milan, getting to know each other by discussing business attire (she admires a militaristic trench coat), washing machines, motorcycles, and cars, products their new lives as professional workers will require. He treats her to an espresso, the café bustling, utterly unlike the firm. Noticing that Domenico’s spoon is missing, Antonietta uses hers to stir in his sugar: the spoon practically sets off sparks. Hurrying back to the office, they negotiate an enormous construction site, temporarily separated by the traffic in its midst, their path shrouded by smoke until they emerge into a small park (birds even sing on the soundtrack), only to be reprimanded for running on the grass. Though they do no more than hold hands, this sequence prolongs the sexual giddiness in the café. So very young and downright puny against all the scaffolding, rigging and equipment, Domenico and Antonietta are insistently alive, laughing and irrationally happy in the midst of relentless industrial progress. Unlike the brightly lit office, Domenico’s home life is always shadowy, the perspective narrow. It’s a world already left behind, by Italy and by Domenico, though he’s not quite in the brave new one either but rather straddling between. Domenico returns a few days later to join the new hires, decked out in a trench coat that seems to wear him. Antonietta is there too, standing in the light of an unexpected window, which seems peculiarly out of place in the narrow waiting room. From there, Domenico is soon ushered down Escher-like staircases, beneath hanging overhead lights that look like the elongated eyeballs of some ugly creature, the cinematography suggestive of a building that expands inwardly, its labyrinths known to only a few. Domenico winds up in the director’s office. This caricature of a bureaucrat sits on a kind of altar, a few steps above the rest of the office, backlit by Cathedral-sized windows, his attention absorbed by watching himself sign papers. Seated opposite, Domenico’s head appears to bob at the edge of the director’s mammoth desk. The furniture dominates the scene, huge Art Deco-style pieces that don’t so much substantiate the director’s position as their own importance. As he gulps down a coffee, he offers the only position available — a messenger — while his secretary looks on in wonder, as if Domenico has been offered the moon. Depth-of-field shots emphasize the loneliness and chill of the hallways and offices. A retiree loiters outside the messenger center, a Pavlovian hostage to the bell that signaled the lunch break: he can only eat after it sounds. When Domenico runs into Antonietta some time later, it seems like a small miracle amidst the passageways and closed doors. In a short montage, Olmi shows the clerks in the room Domenico will eventually join, the perspective from above, the area divided into two rows (like a permanent classroom) overseen by a manager. 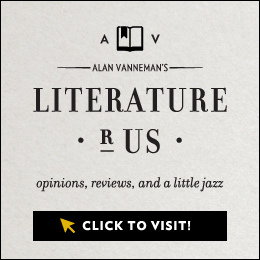 Quick vignettes show the complicated lives that go on away from the office bickering, the thwarted desires (one man works steadfastly on a novel, another sings amateur opera) that lie behind the stifled work life. 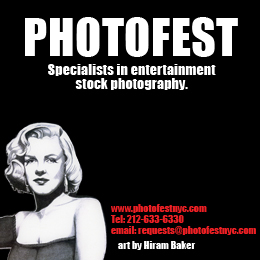 Il Posto culminates in the firm’s New Year’s Eve party. This takes place in an overlit dancehall/dining room, the white-clothed tables separated from the band by imposing pillars. It’s Olmi’s most pointed use of architecture as potential foil to humans, the dance area singularly unsuited to its purpose, the white tiles and white tablecloths clinical and deathly. And into this sterile world comes Domenico, sporting a paper boater, a blowout whistle, and the bottle of champagne that is his consolation for being dateless. He sits a few tables from the only other revelers, a couple who invite him to join them, obviously motivated by greed for the wine. Antonietta never appears, but Domenico finally gets up to dance, joining a conga line of fellow workers and people hired to fill out the party. The false gaiety of New Year’s has rarely been so well captured with so little. Encouraged by the crowd, Domenico lets go, dancing and playing with noisemakers, the scene humanized and raucous despite the constraining furnishings. Olmi abruptly shifts from this frenzy to the office, where one of the clerks has died over the New Year. Domenico moves into his predecessor’s desirable desk. His new colleagues complain to the manager and Domenico is shown to the back of the room, each of the others moving up like pieces on a game board. As Domenico takes it all in, the mimeograph crescendos into an echo of the city’s roar. 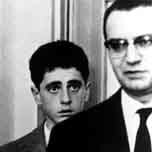 The film’s final image of Domenico’s somewhat disconcerted face evokes the finale of Buzzati’s “Seven Stories,” the protagonist having “the sensation of having arrived in an unreal world, a world created of absurd sterilized tiled walls, of cold mortuary passages, of white soulless figures.” But like Francois Truffaut’s famous freeze-frame in 400 Blows, the shot also leaves Domenico’s future open. Despite the oppressive security and surety of the firm, Olmi stakes his odds on the individual.